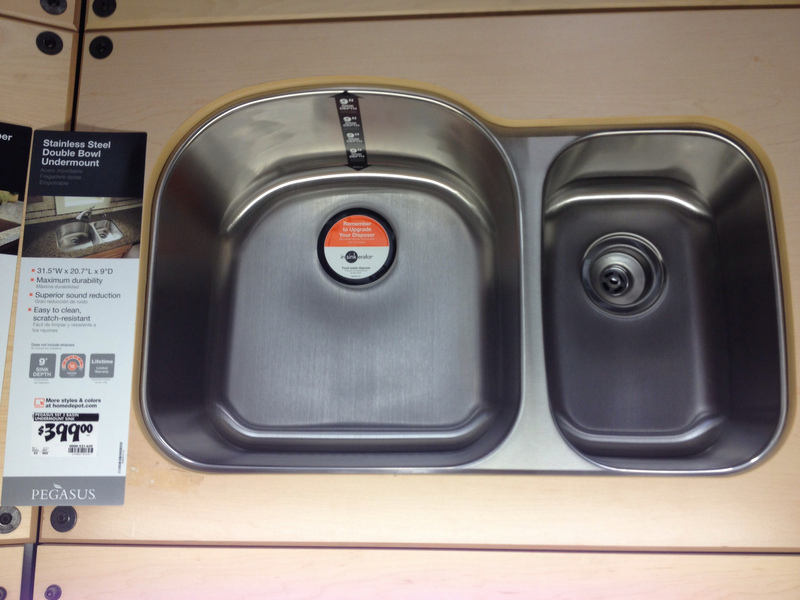 Fun fact: 50% to 90% of the kitchen sink price tag is brand marketing and retail markup. The BRAND X sink will need to be drop-shipped to you. The Big Box sink costs three times as much. Spoiler alert: Pegasus is Home Depot’s store brand. Same style, same factory, same molds. The difference is that one is shipped to a retail store with a brand name on the box and the other is shipped directly to you via a series of tubes. 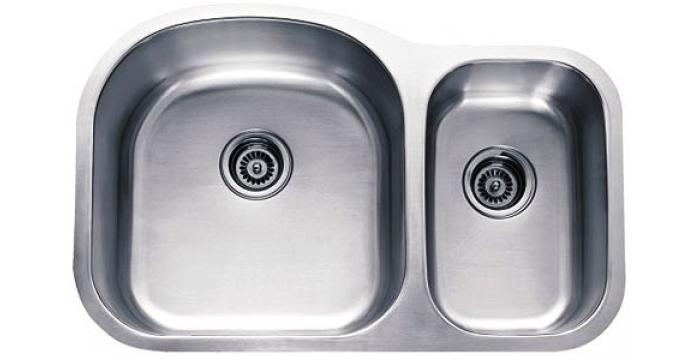 You can spend just about any price you please on a kitchen sink. You can drop nearly $2,000 on this hammered copper bowl or under $70 for this 22 gauge basic model. Since there’s a good chance you’re choosing a stone countertop and an undermount sink, you’d be wise to pick out something that will make you happy for as long as your counters will last. Changing the sink down the road will most likely require cutting or replacing the stone. For our sink, I knew that I wanted an 16 or possibly 18 gauge 70/30 double-bowl. After doing some digging, I found that MrDirect has exactly what I want with a decent return policy, a nice warranty, and inexpensive shipping. But in the end, I decided I didn’t quite trust their BRAND X website’s buyer protection. So I bought the very same BRAND X sink on Amazon.com for $10 more with free 2-day shipping and the Amazon A to Z Guarantee! Now that’s savvy shopping. The sink we got is a 509R. At 36″ wide, it’s one of the bigger ones I could find to fit our 39″ cabinet. Our kitchen has the dish washer to the left of the sink, so I opted for a “reverse” style with the smaller veggie sink to the left of the big bowl. Total cost: $171.60. Make sure you consider your intended use cases before buying your sink. If you never cook, you’re going to want a different fixture from someone who makes massive family dinners on a regular basis and has two to three people performing dish duty each time. And for Pete’s sake, don’t buy an abomination of a sink like the one pictured here just because it’s pretty. That is a pull-down spray head faucet with a pneumatic disposal button, people. This is their full-time kitchen sink. Good luck washing a frying pan, pot, or watermelon in there! In fact, you’d be hard pressed to find any dish that would reasonably fit in there aside from a martini glass. Oh, okay, I get it now. 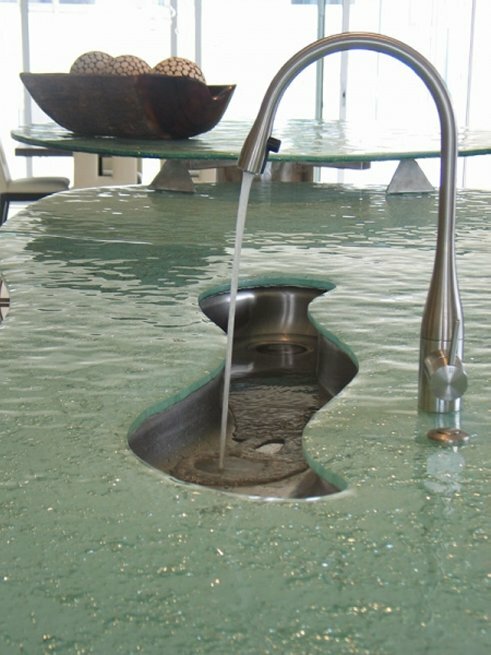 This is a sink for people who subsist on cocktails and olives. They use the disposal to grind up lemon twist rinds. This entry was posted in Construction and tagged furnishings, kitchen. Bookmark the permalink.